Sick of everything you have in your closet? When I haven’t a clue what to wear, I always turn to my go-to-never-fail outfit: jeans, heels and a cute blouse topped off with a very stylish blazer. 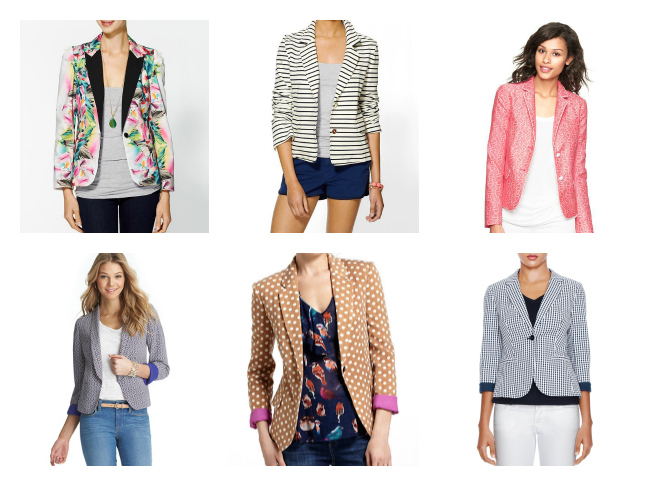 While a plain black two-button blazer can look stuffy, a printed blazer in bright colors and great patterns will give you the casual, yet put-together look you’re going for. We found plenty of print options including florals, stripes, polka dots, and jacquard prints. Save yourself a few wardrobe emergencies and add one of these lovely blazers to your wardrobe this season, it’s a fashionable decision you won’t regret. Early Fall Finds At the Nordstrom Anniversary SaleIt’s Tank Time!